I remember when Omens came out last year, everything about the book intrigued me, and when I read it I fell in love with the world Kelley Armstrong created. The first book was a great introduction to the characters and the town of Cainsville, so I jumped into this one as soon as I could. 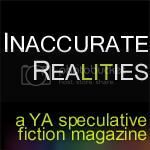 Visions starts off right where Omens leaves off, so it is nice to read these right after one another. I can absolutely say that this book definitely keeps up the dark tone of the first one and it will keep you interested and asking lots of questions. These books are difficult to talk about without spoiling too much of what happens, especially with this being a sequel. But I will talk about the things I can, like the relationships that you get in this book. 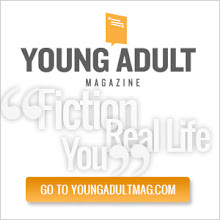 A lot of the characters from the first book obviously come back, and readers see Olivia still attempting to come to terms with her new life and trying to learn more about who her real parents are. Gabriel is helping Olivia more and it comes at the most dangerous time for her, she is seeing things that tell of danger nearby, and yet leave many more lingering questions. I really loved seeing more of Patrick, he helps Olivia understand a little more of the history of Cainsville, and yet still leaves a good amount of questions. There are also some new characters that come around and bring up some new questions. Cainsville has so much history and there are so many things Olivia still does not know about herself and her family background. The people I am still the most interested in all of this are "the elders", they know so much and yet they are rarely around, I see big things coming from them in the future of this series. This is what really makes this series so intriguing is how Kelley Armstrong slowly reveals things and yet still leaves you needing more answers. Armstrong definitely knows how to keep readers on the hook and I believe readers will definitely continue coming back to this creepy little town. 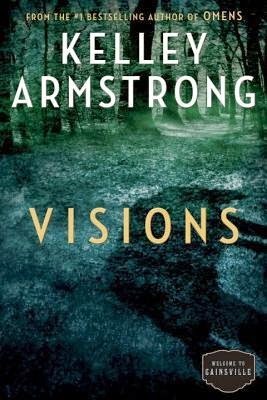 I also have to say that the way Armstrong ended this book truly left me wanting the next book right now, things are definitely becoming more interesting and more creepy as Armstrong continues this story. Prepare yourself for a ride when you dive into the Cainsville series! I love this series!! I have met Kelley twice at book signings, and she is awesome!